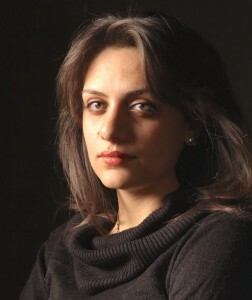 After finishing the Bachelor of Art with highest honors in her native city Tehran, Aftab Darvishi (Iran, 1987) moved to the Netherlands where she studied composition at the Royal Conservatoire in the Hague, and Composing for Film and Contemporary Music through non-Western techniques at the Conservatory of Amsterdam. Since her graduation, she has been frequently invited to lecture at the University of Tehran. Currently she is a PhD candidate at University of Brunel for which she was awarded the Prins Bernhard Cultuurfonds scholarship from Netherlands. Aftab Darvishi is a former member of KHZ, an experimental electronic ensemble founded by Yannis Kyriakides that has performed in different festivals such as the Holland Festival. She was invited to write a piece based on Boulez Notations for percussion performed at the Holland Festival. In 2015, she won the music education award from Listhus Artistic residency in Iceland. She has been selected to participate as composer in the Festival Paphos – European Capital of Culture (Cyprus) in 2017. Piyawat Louilarpprasert (Thailand, 1993) studied composing and conducting at Mahidol University in Bangkok, Thailand. In 2015 he moved to the UK to study for his masters in composition with Dai Fujikura and Gilbert Nuono at the Royal College of Music. He participated in several masterclasses, such as Darmstadt New Music Festival 2014 / Studio Musikfabrik working with Helmut Lachenmann and Georges Aperghis. Piyawat Louilarpprasert has won several awards for his compositions, such as the First Prize from the Princess Galyani Vadhana Youth Orchestra in 2015, and the Young Thai Artist Award for a Chamber Music composition. 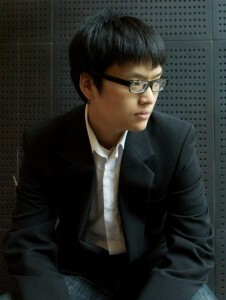 He was a finalist for “Young Composer in Southeast Asia, contemporary traditional music” in 2013, and of ” Mozart of Tomorrow” of Royal Northern Sinfonia in 2015. Sophie Sparkes (1996) is a UK-based composer whose compositional output ranges from choral to instrumental works, chamber opera, music for theatre, electro-acoustic composition, sound installations and music videos. 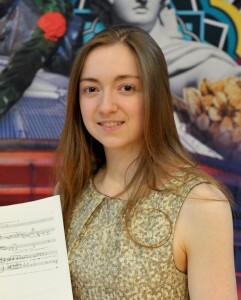 Sophie currently studies composition with Eugene Birman at the University of Oxford, having previously studied at the Junior Royal Academy of Music and The Purcell School for Young where she won the Tim Stevenson Award for outstanding young composer 2014. Sophie’s work has been premiered in venues including the Saatchi Gallery, St Martin-in-the-Fields and The Royal Academy of Music by ensembles including The Aurora Orchestra, The BBC Singers and Music Off Canvas. Commissions include a Pop Up Opera, Chuggers, for Tête à Tête: The Opera Festival 2015, and a work for the 20×12 Cultural Olympiad with Sound and Music. Alejandro Mata (Mexico, 1990) graduated with a diploma in composition at the Conservatorio de las Rosas (Morelia, México) in 2011, and then at the École Normale de Musique de Paris, where he studies with with Edith Lejet. Since 2014 he studies composition and orchestration at the Conservatoire de Reims with Daniel d’ Adamo for his DEM diploma, to be followed by a Diplome de Perfectionnement in the Conservatoire de Strasbourg. In Europe his music has been played by the Ensemble Alternance, Darío Portillo and Askar Ishangaliyev. He held a scholarship of the State System of Creators in México, and of the Elliot Carter and Nadia Boulanger Foundation for Young Composers in Paris. In 2014, Alejandro Mata participated in Tenso Young Composers Workshop. Aled Smith (UK, 1990) is a composer, editor and teacher based in Manchester, UK. Born in Wrexham, North Wales, Aled began playing guitar at around age twelve and was composing by his late teens. 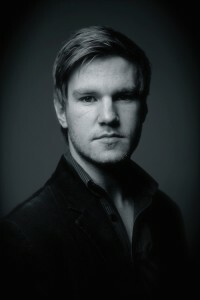 Following an undergraduate degree in Music in Liverpool (graduating with First-Class Honours) he continued to a postgraduate study at the Royal Northern College of Music, gaining an MMus with Distinction in composition. 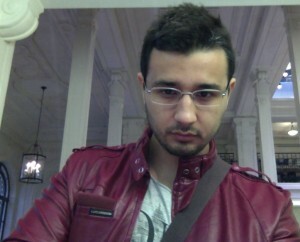 He is currently reading for a PhD at RNCM (Manchester). He has written music for Alexandra Dariescu (piano), NEW Sinfonia, RLPO, London Sinfonietta, Borealis Saxophone Quartet, BBC Singers, the Sixteen, and many more. His music has been performed at venues such as Bridgewater, Royal Festival Hall, British Museum, as well as internationally. Prizes/awards include winning the RPS mini-commission 2013 and being elected RPS Young Musician for the same competition, shortlisted for the Mendelssohn Scholarship 2014, and nominated as Alba Music Festival Composition Fellow 2016. As an editor, Aled has worked on a wide variety of projects from proof-reading, to copying and producing parts for small community projects to large scale professional editing for radio and television.